Charlevoix State Bank hours will begin a Monday through Friday schedule beginning May 5, 2008, according to Nancy Ferguson. The bank hours will be from 9 a.m. til 1 p.m. beginning on May 5, 2008. On a walk on Tuesday morning, the harbor looked perfectly still with plenty of birds in the air. The temperature was balmy with a hint of haze in the air and fog out on the big lake. If the camera had been ready upon reaching the harbor area, perhaps a much better picture could have been gotten of this eagle, who rose into the air less than ten feet away. The birds were plentiful in the wonderful ecosystem along our harbor shores. The two ducks were enjoying their breakfast in the morning air. The point looked somewhat different from these two views, but was visible through the haze. It was beautifully serene, so it was not difficult to stand and watch to Emerald Isle through the haze. Caught this redwing on his way and several geese enjoying the morning as well. State Superintendent of Education Mike Flanagan will be visiting Beaver Island on Thursday, May 15, 2008. His trip to the Island will include being part in the ceremonial ground breaking for the new BICS construction project. He will be treated to some student presentations including a short excerpt from the BICS musical "The Castaways." Kathleen McNamara has announced that a luncheon will be held at the Shamrock with Mr. Flanagan bing the guest apeaker. The visit to Beaver Island is part of Mr. Flanagan's plan to visit as many school districts as possible. These are the most up-to-date plans available for the building. 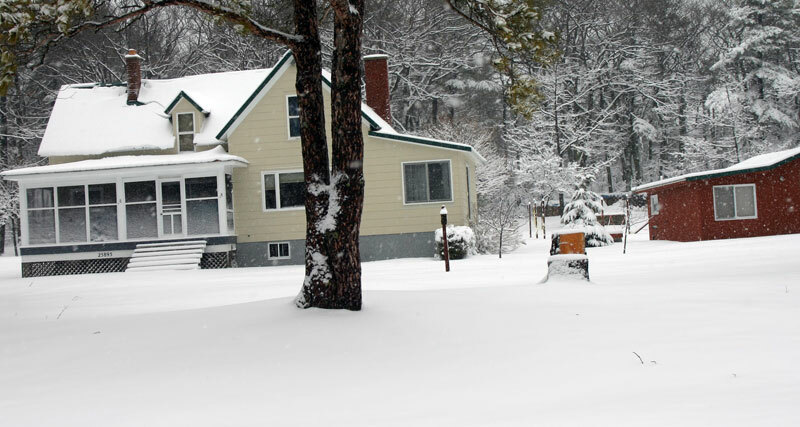 The Board of Education met on April 14, 2008, and awarded the bid for the construction project to Beaver Gems, Inc. of Beaver Island. The bid for this project was granted to the lowest bidder. Ground breaking will be ceremoniously started on Thursday, May 15, 2008, at 11 a.m. The actual demolition and true ground breaking will probably wait until the first week of June. The BICS School Year Calendar has been changed to accomodate the building schedule. The school year will end early. The link below will take you to the new calendar of events for the BICS for all grades Pre-K through 12. This mother of four and director of BIEMS has been, not so secretly, working on her Associates Degree in a mainly long distance education program through Kellogg Community College. After passing her CLEP exam in English this past week and finishing up on her current courses, Sarah should complete her degree requirements within two weeks. She will graduate from KCC with an Associate's degree in Emergency Medical Services. Philip Moore, know to most as Michael, a local country and rock and roll singer, has completed his student teaching through the University of Puget Sound in a Master's Degree of Education program. This will be his second Master's degree with the first being from CMU in Broadcast and Cinematic Arts. Philip's student teaching experience was to be a unique one. 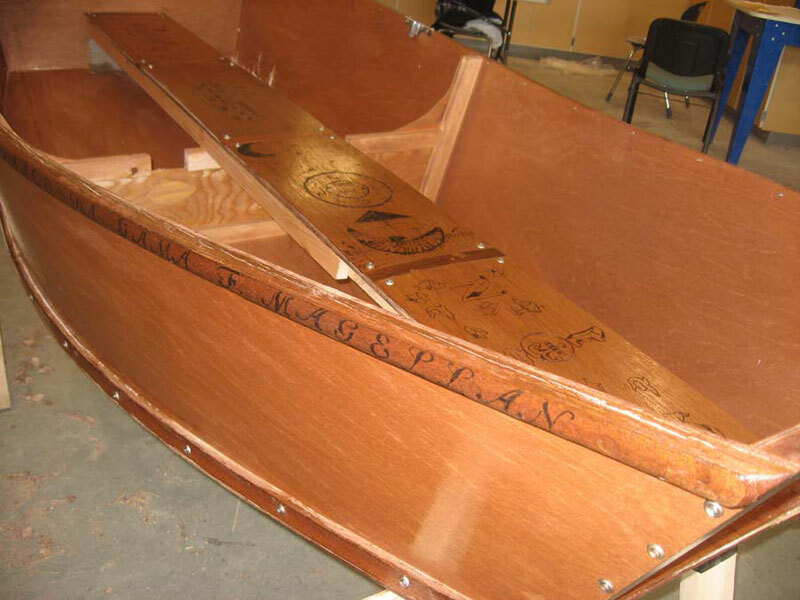 He spent many hours developing a boat building project to meet the State of Washington's educational outcomes for the fifth graders in his student teaching school. His innovative project attracted the interest of several of the math and science teachers in the school, and several were interested in helping out and making sure that the project was a success. The boat will be donated to a non-profit organization named Northwest Trek, which keeps and protects the animals of the Northwestern part of the United States in an enclosed park and offers tours of the park and the zoo near Eatonville, Washington. Part of the project also includes the presentation to each student of a video of the project with teacher comments from each student's teacher about their participation in the project. 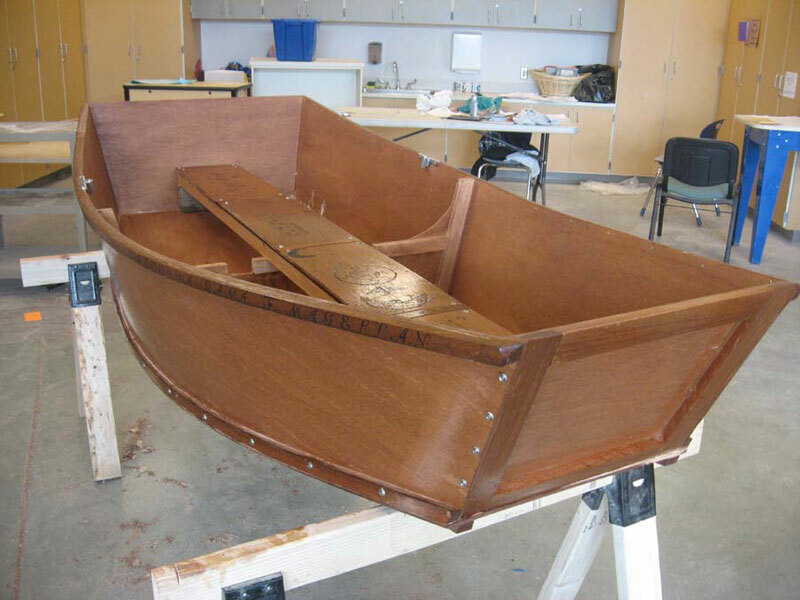 The boat is completed and here are pictures of the boat. 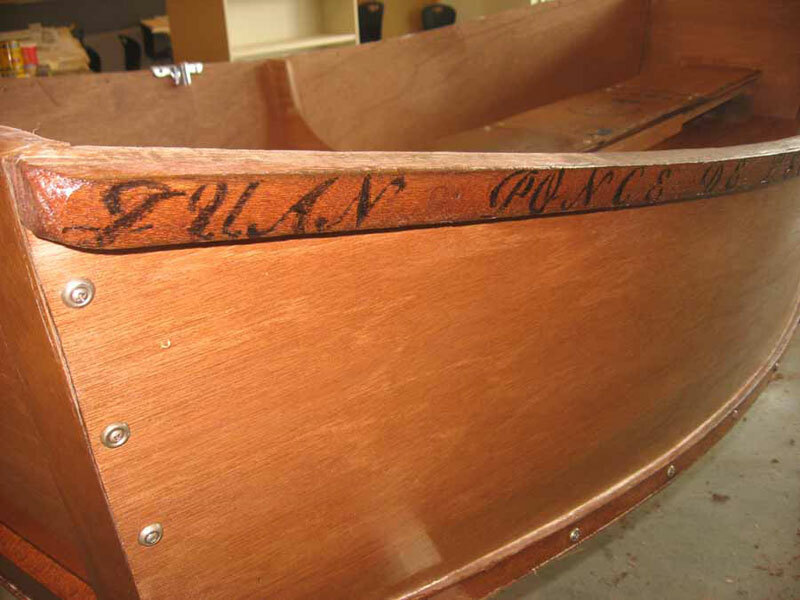 The name of each student is engraved in the top rail of the boat. Come and join us as the 5th and 6th Grade Class entertains the masses with their hilariously funny rendition of “Get Up and Go”. This lively play contains 11 scenes of unstoppable laughter as the kids recount the history of transportation from the ages of Cavemen and continuing on through the Cyber World! As usual, the night's festivities will include a very extensive raffle….last year topping over 50 items! Come One! Come All! Come Enjoy! Admission is $3.00/person. Raffle tickets may be purchased at the door. $1/each or 6/$5.00. As always, thank you for supporting the 5th/6th grade efforts to go to Camp Hayowentha ! The only correct response for last week's question was Harold Lounsberry. 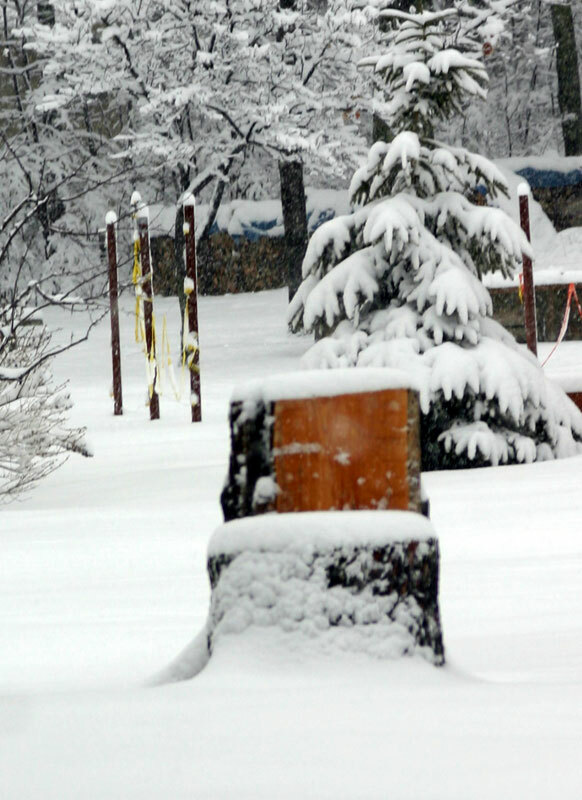 This picture was taken last Saturday in the front yard of Bill Hirschey. There are also applications available at the Beaver Island Community School office. Be sure to register early for the early registration discount. Sticking with this same area of Beaver Island History, who replaced Mike McGinnity and Dr. Phillip Lange as the provider of medical services for the Beaver Island Medical Center? The first correct answer was sent in by Sarah McCafferty. Congratulations to you, Sarah! There were three others with the correct answer this week. The correct answer was Penny Kiss, whose interview was featured on this website two weeks ago. Since the medical center or BIRHC trivia is still pertinent with the search still on for a second provider, this week's question is going backwards in the history of that important institution. 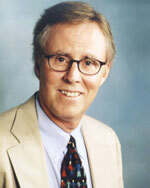 Let's go backwards before the time of Mike McGinnity. Who were the last two physicians to practice medicine on Beaver Island prior to Mike's here on Beaver Island? The first correct answer will earn a gift subscription to News on the 'Net for the months of April, May, and June for the person of your choice, anyone who is not already a subscriber. Email your answers to: medic5740@gmail.com. Shoreline owners and interested individuals are asked to attend a public meeting on June 24, 2008 at the Peaine Township Hall at 7.p.m. This meeting is to discuss the proposed 2008 Phragmities Eradication Plan (Save Our Shores Program). A letter will be mailed on June 1st to all shoreline owners outlining this year's process. John Works, Peaine Township Supervisor, Don Vyse, St. James Township Supervisor, Brian Mastenbrook, DNR, and representatives from the Beaver Island Association (BIPOA) will be on hand to answer questions. We would also like to take this opportunity to thank those property owners who reviewed the information on Phragmities and participated in the treatment program. 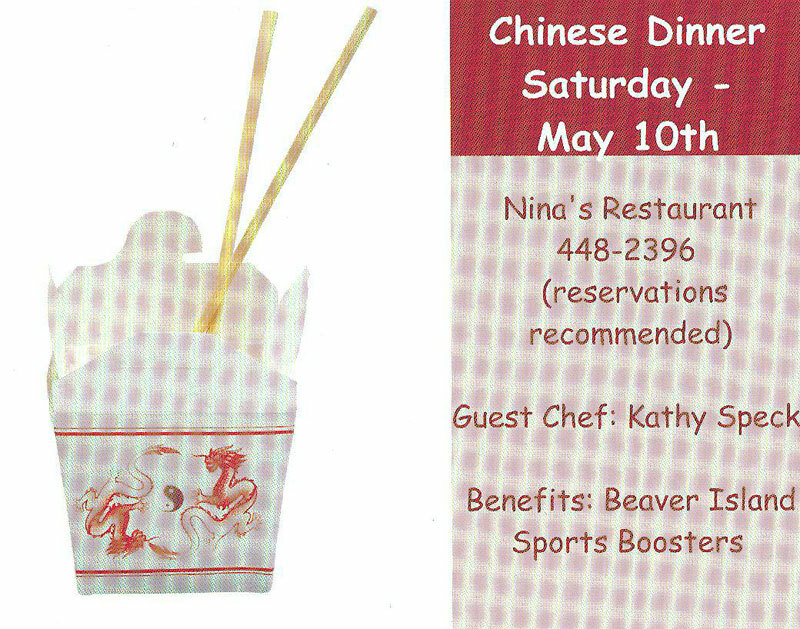 The Sports Boosters' Chinese Dinner will be Saturday May 10th at Nina's Restaurant- reservations please-448-2396 take out orders will also be available. Special and Excellent Guest Chef Kathy Speck will prepare this dinner. The Beaver Island Association (formally BIPOA) will hold their Annual Meeting on Monday, July 14, 2008 at 7:30 p.m. at the Peaine Township Hall. Election of officers, Treasurer's report, committee reports and other business will be conducted. Open to the general public. The minutes of all public meetings will be posted as soon as they are received. News on the 'Net welcomes minutes to all public meetings. Please email them to medic5740@gmail.com. This camp is for all children who live on or are visiting Beaver Island with a variety of wholesome activities which will include music, crafts, games and age appropriate lessons focusing on Christian values and teaching children what life was like in the time of Jesus. Attendance is free. This is a great way for children to make new friends. All materials will be provided as well as daily snacks and a picnic lunch on the last day of the school. Currently scheduled for July 1-3, you can plan your vacation around these dates. Parents interested in having their children attend the school should contact Deb Robert at 448-2048 or by email at debrob2@gtlakes.com . All the sponsor slots for the Air Show visit by the B-17 Yankee Lady have been sold out. The plane will visit Beaver Island July 18 & 19. Each sponsor will get a special VIP ride on Friday July 18. Your Chamber directors would like to thank and recognize these sponsors who joined with us to bring the beautiful WWII aircraft to Beaver Island. Visitors to the air show will be able to purchase a ride in the Yankee Lady and tour the plane on the ground. For more information about the show contact Chairperson Rachel Teague (Fresh Air Aviation) at (888) 359-7448 or your Chamber office. Father Pat Cawley and Pam Grassmick were selected as 2007 Citizens of the Year. The awards were presented on April 12 at the annual banquet held this year at member Stoney Acre.